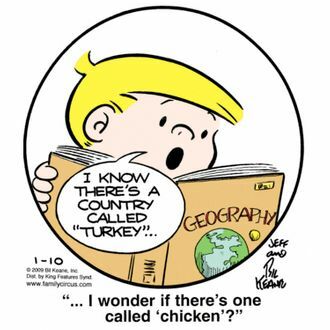 Bil Keane, creator of the popular (and endlessly mashed-up) “Family Circus” comic strip, died Tuesday. He was 89. Keane began drawing “Family Circus” in 1960, and he based the strip on his own brood. “Everything that’s happened in the strip has happened to me,” he told the East Valley Tribune in 1998. The comic, an earnest and largely unchanging portrayal of the American nuclear family, now appears in over 1,500 newspapers, and it spawned a handful of TV specials, as well as 89 (!) books. Keane is survived by his five children and thousands of dotted lines running in paths all through his yard and neighborhood.